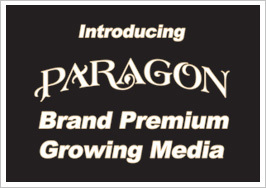 We recognize that each professional grower has specific needs for their growing media. 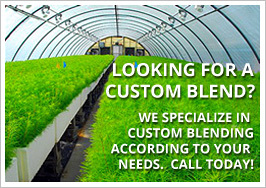 The best approach to meeting your needs is to custom tailor your mix or mixes for your specific growing situation. Our technical specialist will speak with every customer individually to determine what formulations of growing media will work best for them. As your growing practices evolve, you will have the flexibility to adjust your soil mixes to improve performance or keep pace with any changes in your growing practices. We value your expertise and experience and we welcome your participation in the process of media formulation and fine-tuning. Please feel free to contact us so we can start developing your custom mix today.